This truck is great! I like how it holds up to almost anything I put on it. I would highly recommend it to others. 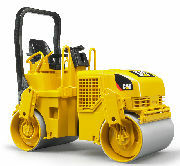 I have also purchased other Bruder equipment and will purchase many more. This is a great model because the backhoe's front bucket lifts and dumps. This toy is great! The toy is so detailed and the hoe. It is played with a lot around our house. THIS IS A GREAT TOY! This truck is simply amazing i was expecting somthing that would break very easy boy was i wrong my bull dog can sit on it and i wont even bend!!! 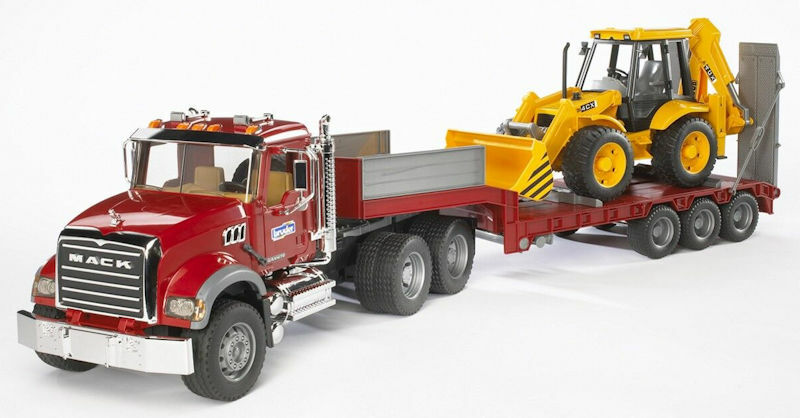 What a great toy, I can't believe how detailed the truck & hoe are. my son who is 1 yr. loves the backhoe. The flatbed truck is so strong that my son sits on it and dad pulls him around the house. very happy with my purchase that I bought many others. WOW!! I bought this for my sons 3rd birthday, he has not put it down yet. He takes to his daycare and im sure it gets used well. It still looks like the day it arrived at our house. OUT STANDING PRODUCT ! We will be buying more.